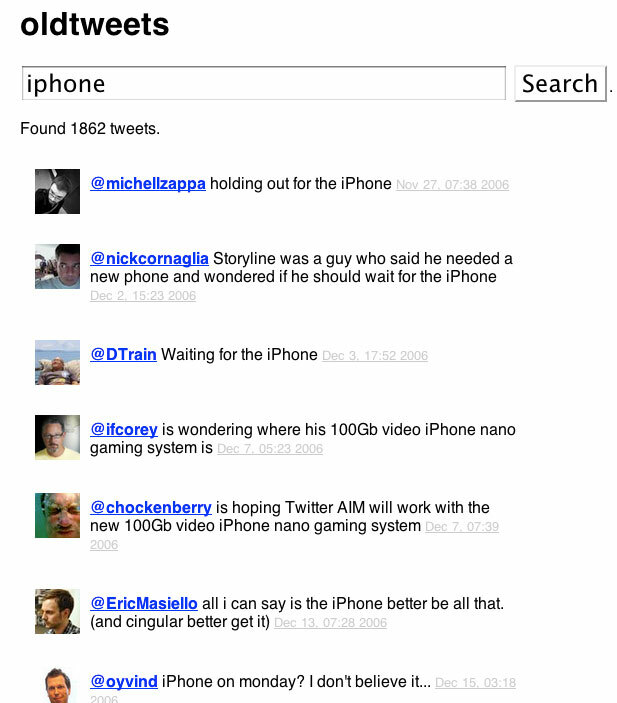 oldtweets is a Twitter search engine that only brings back results from the first year or so of tweets (mid 2006 to mid 2007). oldtweets creator Kellan Elliott-McCrea explains the project on his blog. I think our history is what makes us human, and the push to ephemerality and disposability “as a feature” is misguided. And a key piece of our personal histories is becoming “the story we want to remember”, aka what we’ve shared. I just wanted my old tweets, as a side effect I got all of them.